Daniel participated in our 12 Week Challenge in April-June 2014 and was our WINNER once again and $1000.00 richer!! Daniel lost a total of 20.2kgs in the 12 week challenge and a total of 18.5% of his body weight!! Great effort to back up and win the second year in a row. D ean participated in our 12 Week Challenge in April-June 2014 and was close runner up!! 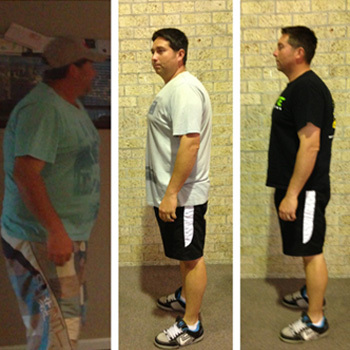 Dean lost a total of 16.3kgs in the 12 week challenge and a total of 16.33% of his body weight!! Natalie participated in our 12 Week Challenge in April-June 2014! 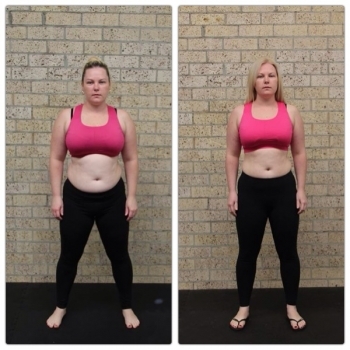 Natalie lost a total of 8.7kgs in the 12 week challenge and a total of 12.45% of her body weight!! Daniel was our last 12 Week Challenge WINNER in 2013! Daniel lost a total of 12.3kgs in the 12 week challenge and after 18 solid weeks of boot camp, he lost a whopping 23.3kgs!! Awesome job mate! Our next 12 Week Challenge starts on 31st March 2014. You too could see results like Daniels!! 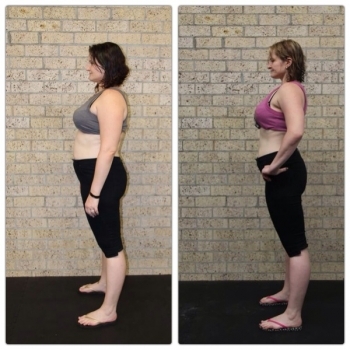 Kylie participated in our 12 Week Challenge in April-June 2014! Kylie lost a total of 7.8kgs in the 12 week challenge and a total of 8.25% of her body weight!! Fantastic effort!! After the birth of my 3rd son at age 40, I expected to regain my pre-birth weight just like I did with previous children. I didn’t realise what a difference an extra 12 years would make! Joining Pure Fitness has been life changing for both myself and my family. Not only was I able to ‘let off steam’ through the boot camp sessions (which made for a happier wife and mum), but with Rj’s guidance and support, I also lost 40cm in total body measurement and 10kg off the scales overall. My energy and endurance levels are better than when I was in my 20’s. It’s simply has been the best thing I have ever done for me! I am so amazed at how much Boot Camp has changed my life. I look forward to that one hour a day with a great group of people who inspire me and make me laugh. I could never thank Rj enough for what he has done for me. Not only have I lost 15.1kgs in 7 months and over 60cm, I have regained my life. I have never been fitter, healthier or happier thanks to Pure Fitness Boot Camps!